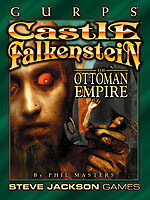 There are many empires in the fantasy-Victorian world of Castle Falkenstein . . . but none like the Ottoman Empire. 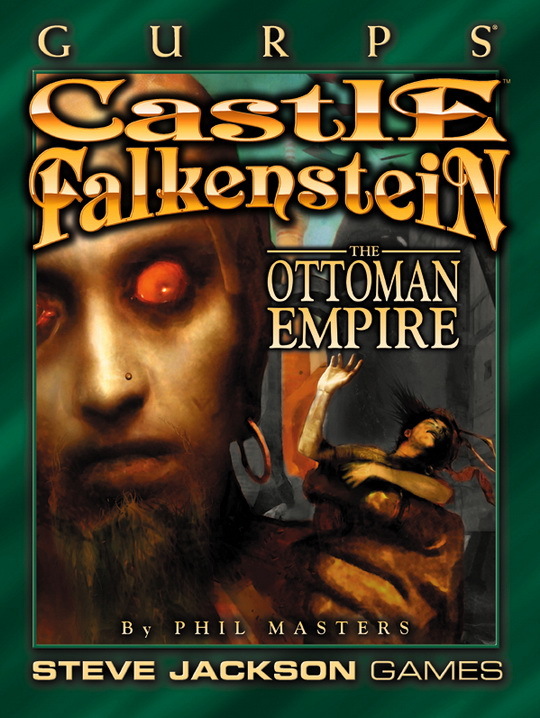 GURPS Castle Falkenstein: The Ottoman Empire takes you to a land of ancient magicks, mad Sultans, and mazes of mysteries and plots. Based on the historical reality of the declining Ottoman Empire, this is a great reference for any game set in the 19th century, from cliffhanging adventures, through horrific confrontations with ancient and uncanny powers, to steampunk exploration of the Arabian deserts or railway-building in the Levant. You can also explore Middle Eastern magick: sorcerers, magickal Orders like the militant Senusi Dervishes, deadly Djinn, and – of course – magic carpets. With stats for both the original Castle Falkenstein game and the GURPS version, it's everything you need to adventure in the Lands of the Sublime Porte. GURPS Castle Falkenstein – Imagine a world very much like 19th-century Earth, but with wizards and swashbuckling heroes . . . and Dragons and Faerie!